Herefordshire's premier bowling venue & Great food! Guaranteed good times. 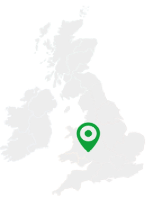 We’re nestled in the heart of lovely Herefordshire and our mission is to give everyone (yes, everyone!) something to enjoy. If you are a keen golfer or just starting out in the game we have two 9 hole courses which can be played separately or together as an 18 hole course which even the most experienced player will find challenging. Planning a party, a company outing or just a get together with friends? You’ll love The Grove Bowl, Herefordshire’s newest and ritziest bowling experience. Whilst you find out who is the Bowling King or Queen we’ll be preparing great tasting food, from burgers fresh from the farm to pizzas and more from our tasty snack menu. We are also home to The Hickory Stick restaurant, renowned for the quality of our cuisine and fresh locally sourced produce. We welcome visitors for lunch or evening meals and can cater for large groups in our 75 seat restaurant.